I love this book. It was so amazing and emotionally taxing that I had a hard time not crying the whole second half of the book. I also find the whole purpose of the Forgotten to be amazing and beautiful. At the same time, I find it realistic, because their are definitely people that have touched my life with so much light and yet I can hardly remember their names, let alone their faces or voices. I loved that Young balanced that by showing a dark and negative alternative for what Charlotte could do and I found that to be horrifying. Charlotte is an amazing character. She has so much courage and spirit even as she is about to face such a horrid and unimaginable fate. Harlin is such an amazing guy. He trust Charlotte so much and I loved that she tried so hard to keep him. Her best friend Sarah was awesome and I really liked her. I found Mercy to be amazing, because she adopted Charlotte and will never know all the amazing things that Charlotte was doing. There are not enough words for how sorry I felt for Monroe. He has the hardest time is the book, because he will always remember Charlotte and no one else will. I can't even imagine having to deal with that and not being able to talk about it. The setting of Portland is so rich that it seems to be it's own character and it made me miss that city so much. 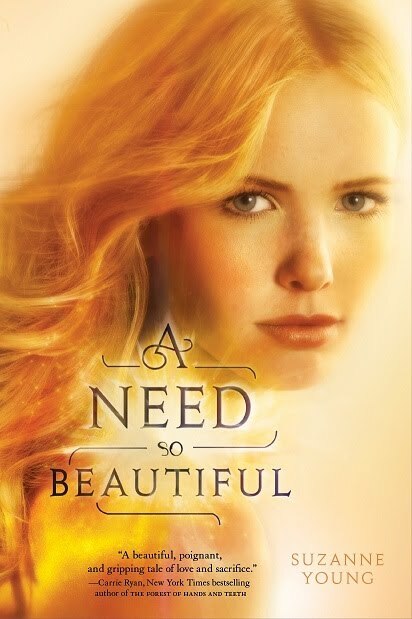 A Need So Beautiful is one of those books that you want for it to go on forever, because it is so magical and captivating that every single word matters. Young's writing is gorgeous and emotional. It captures A Need so Beautiful so well that I wanted more and I can't wait for A Want so Wicked to come out, especially after the ending. I recommend that you read this book now. It is clever, original, and so amazing and I have no clue how you could possibly hate this book. I can't wait to read this book! Reading your review just reminded me why I was so excited :) Great review too!